This post is part of a virtual book tour organized by Goddess Fish Promotions. January Bain will be awarding a $15 Amazon/BN GC to a randomly drawn winner via rafflecopter during the tour. Click on the tour banner to see the other stops on the tour. “Hey, you in there or in La La Land? Just one more, sis, okay? 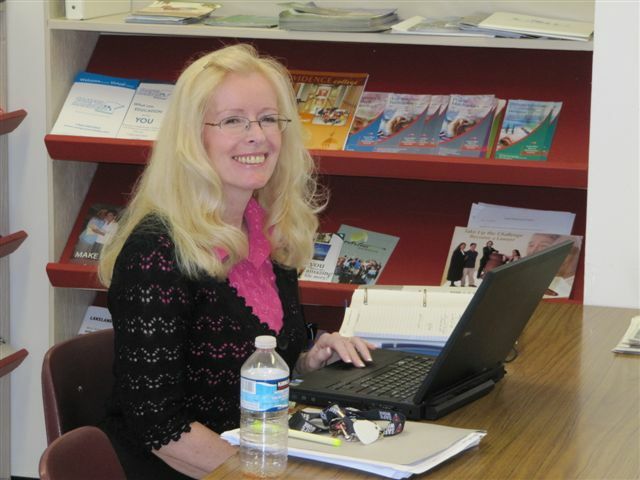 I need a little more time to catch that new guy’s eye,” Celine stage-whispered in her ear. She nodded in the direction of a man striding toward them. He sat at an empty table less than eight feet away. Hmm. He looked like the kind of guy who thought he was every woman’s fantasy, his polished yet scruffy appearance a ploy at pretending he didn’t care. She’d bet he used one of those special razors that kept his beard that precise length. No one was that good-looking without doing a little something. 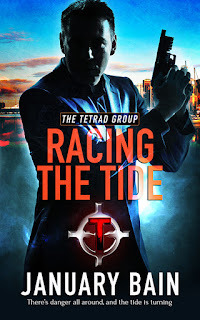 Here's a wee bit of the review: Racing the Tide is a memorable, action and romance packed story that had me hooked within the first couple of pages. January makes her characters so real, and drew me into their story so much that I kept thinking about them after the story ended.